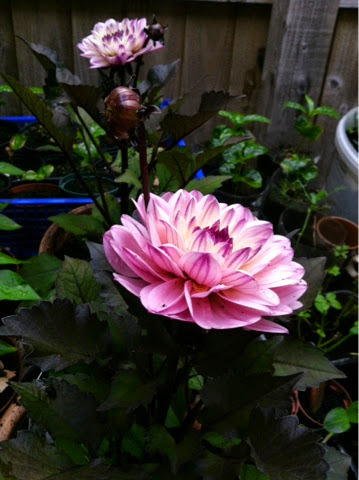 Two weeks ago, my husband and I decided to buy two pots of hybrid dahlia from the nursery. 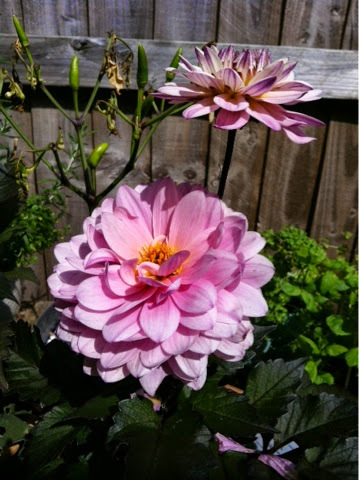 Unlike my tomatoes, strawberries and chilli plants (you can see the leaves dried leaving only chillis on branches), the two pots of dahlia adapted pretty well to The hot dry Sahara like dessert weather. Kidding. It wasn't that hot but close enough to Malaysian hot sunny day. 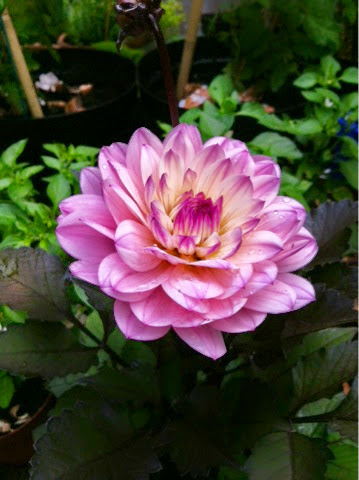 When we first brought back, the top flower was just a bud (see picture below). It took about two weeks for it to bloom. 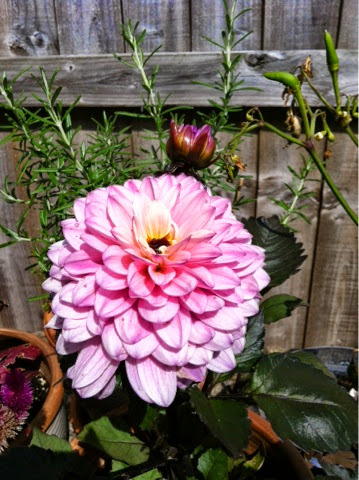 The top bud is slowly "transforming" to beautiful flower while the other existing flower has now aged. The petals are slowly falling. It is sad but we've to accept nothing is forever.